The advance of democracy in Latin America over the past quarter century has contributed significantly to ensuring respect for fundamental political freedoms, civil liberties, and human rights. This updated and expanded edition of Democracies in Development highlights how a legitimate and effective democracy is also essential for sustainable economic and social development. 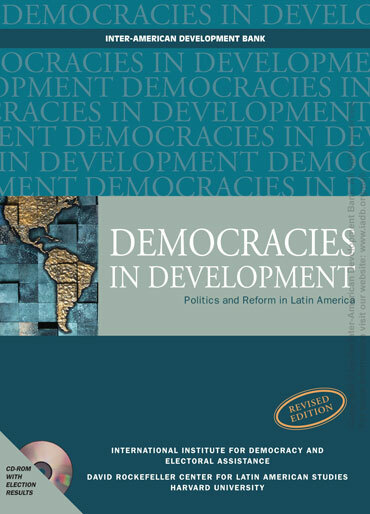 The book analyses the effects of institutions on the functioning of democratic systems, identifies regional trends in political reform, assesses the value of reforms in contributing to enhanced democratic governance, and offers some tentative conclusions about the types of reforms that may hold promise for strengthening democracy. Chapters focus on the link between the quality of democratic politics and development, citizens’ attitudes towards democracy and their evolution over time, trends in the levels of electoral participation, the structure and operation of electoral and party systems, the rules in place for regulating the financing of politics, the balance of power between the executive and legislature, the authority and political independence of accountability agencies, and the nature and efficacy of direct democracy mechanisms.